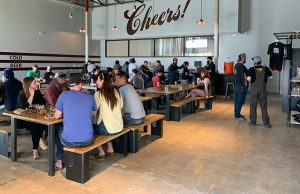 It’s not often that you hear of a small brewery opening up with all the luxuries, like matching fermentors. That usually takes time, money, and most importantly, confidence in working with one manufacturer. 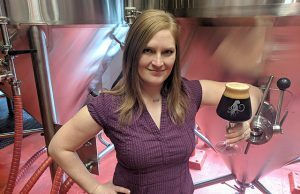 For both Rogue Ales and Rhinegeist Brewery, starting with what they could start with was essential to its growth. When Cole Hackbarth joined Rhinegeist in early 2015 as the brewery’s operations manager, he hit the ground running after working in Los Angeles as the Head Brewer for Golden Road along with a stint at Full Sail more than a decade ago. What he saw was a mish-mash of tanks, and for good reason. The brewery was seeing explosive growth and was taking whatever tank they could to help fill orders. Cold Spring Brewing, which also produces Third Street Brewhouse beers, has 22 450-bbl and two 150-bbl Cylindro Conical fermenters. When Cold Spring first opened in 1874, the tanks were made of wood. At some point, glass-lined steel horizontal tanks were installed, pointed out Karl Schmitz, the brewery’s manager. 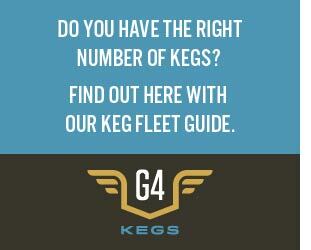 In 2012, when they developed and built Third Street Brewhouse, they added 12 cylindroconical FVs. The brewery added another dozen in 2015 to get them entirely out of their heritage cellars and into conical tanks. 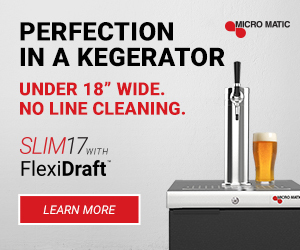 “The new tanks give us more precise control over fermentation temperatures and make CIP a breeze,” Schmitz said. “We wanted to modernize our systems, plain and simple. All of our new FVs were built by DCI tanks in St. Cloud, which is only about fifteen miles from the brewery. The locality and service echos true for Rogue and JVNW. Hackbarth had dry-hop ports on the original order of 240s for Rhinegeist, but he noted that they have gotten rid of those because they were unnecessary. 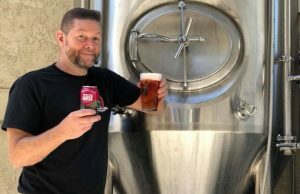 “With dry hopping being a huge part of our portfolio, having racking arms is really nice even on those big tanks,” he said. “It would be really difficult to do really hoppy beer without racking arms. So that’s kind of a big thing [for us to have]. Because they’re so tall, we can’t do the traditional ‘chuck and duck’ method of dry hopping where you just dump dry hops in the top. Rhinegeist also oversized the brite tanks so that we can do ciders and things that have higher yields and higher volumes. They originally had dual temperature probes and cooling zones installed as well. “We now just have one temperature probe to control all the cooling zones because we don’t ever under fill our tanks, they are always all the way full,” Hackbarth said with a laugh. 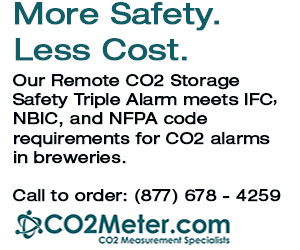 “So it’s just unnecessary to have multiple temperature probes and multiple controls. So we have streamlined and made tanks more efficient and a little simpler just so they’re not too much work maintenance-wise for controls. Cold Spring tanks have three cooling zones and are about 40 feet tall each. “The zoned cooling is excellent and solves a lot of challenges you’d typically see with tanks this size,” Schmitz said. “Tall tanks have a tendency to get warmer at the top and cooler at the bottom, which means you may only need to cool the top third of the tank to control the temperature at a given time. When we did the cellar expansion, we were very strategic in where we placed our tanks. We changed some of the locations of the cooling zones to fit our needs better. Our current cellar set up limited us to narrow, tall tanks. Most of the changes for Pfriem Family Brewers has been to accommodate for the size increases the brewery has seen. 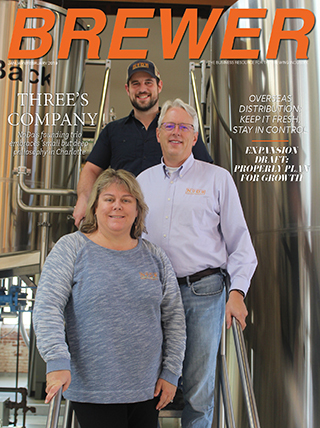 Brewmaster and co-founder Josh Pfriem said more glycol throughput and two thermocouples instead of one have been added to their standard stainless uni-tanks. Shields said hairline cracks often appear in the tank from all of the heating and cooling that happens during the brewing process. 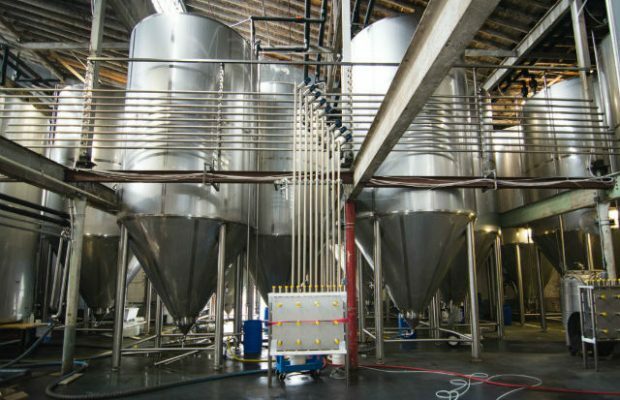 Although stainless steel repair is minimal, it helps to make sure a brewery has a good CIP program to keep maintenance pretty minimal. Cold Spring tanks have a combination vent/CIP line and split to either the spray device or an open vent line right at the tank. The vent line has a spring-loaded check valve to direct most CIP flow into the spray device while still allowing the short vent line to be cleaned. Hackbarth pointed out changing gaskets is important, mentioning that gaskets from one supplier is one aspect to think about. “That’s the one thing about having a dedicated supplier is you better access to custom gaskets and things like that whereas if you pull in tanks from random vendors and just kind of drop them, then you’ve got a source gaskets for all of those random tanks and used tanks can often have outdated parts and gaskets that are hard to find.